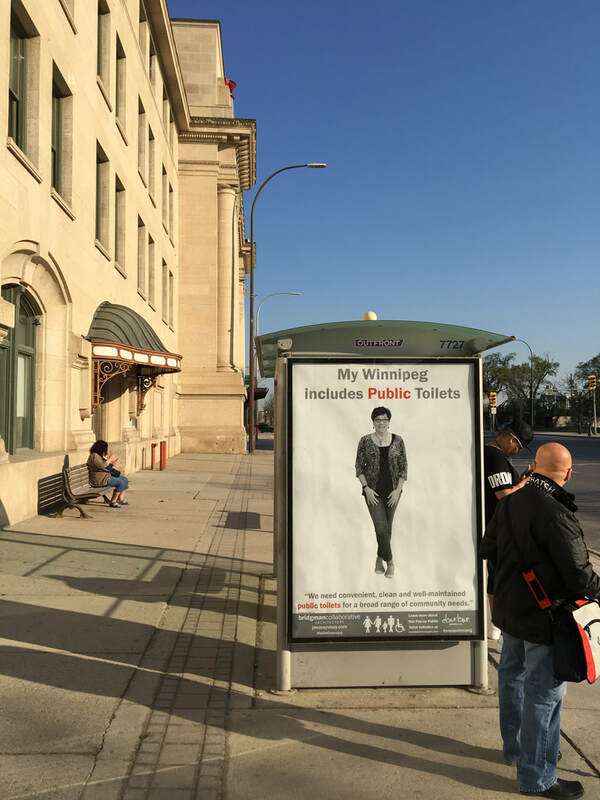 *Toiletless Winnipeg No More* is all about raising awareness about how important public toilets are for anyone in Winnipeg regardless of age, gender, ability, cultural background, wealth and whether you are a visitor, out at night or exploring the City on an early week-end morning. 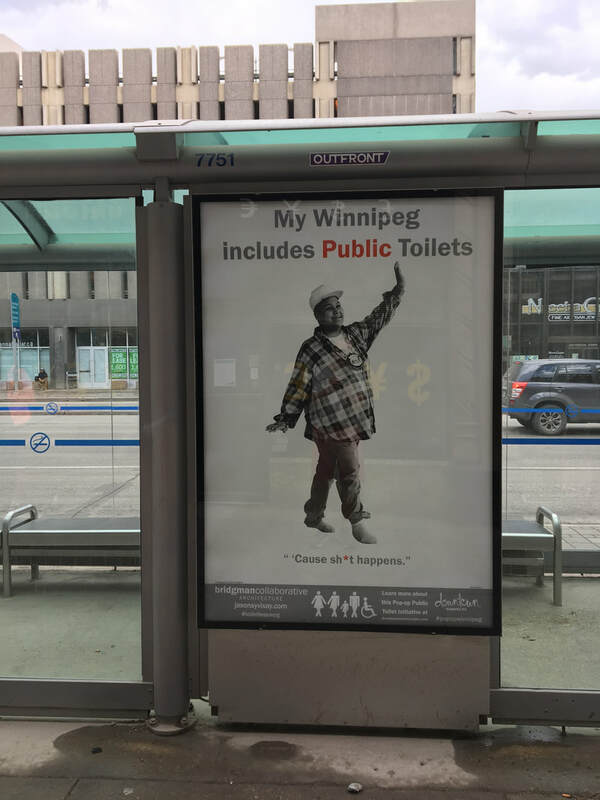 Your picture may be used, with your permission, as part of an art project to represent your solidarity with the needs of all Winnipeggers and visitors. When did you need a public toilet? What qualities do you need in public toilets? How can we represent solidarity with other people who need to use a public toilet? 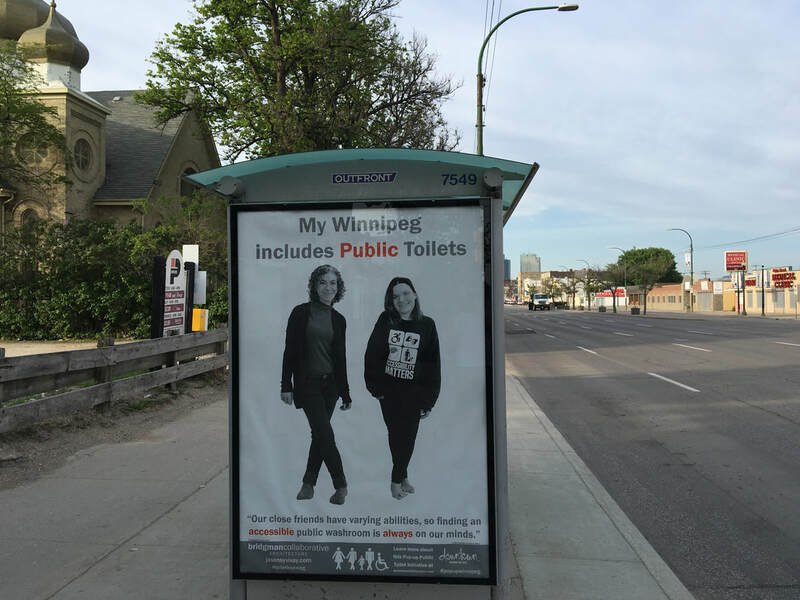 This project by BridgmanCollaborative Architecture, together with Jason Syvixay, arose from our interest in raising awareness about the crucial need for public toilets in Winnipeg. 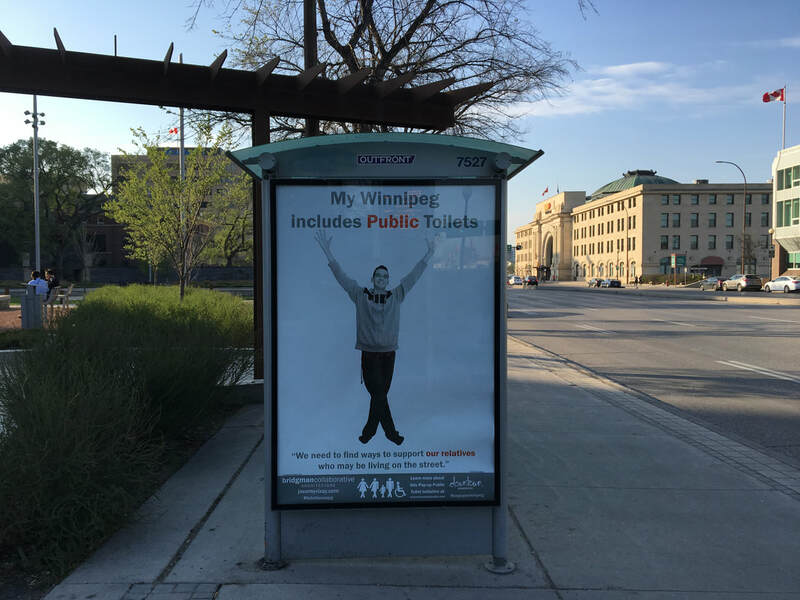 Although many members of the public and politicians in Winnipeg recognize how public toilets contribute to the liveability and amenities within cities generally, the City of Winnipeg does not currently provide a policy framework or budget for this issue. 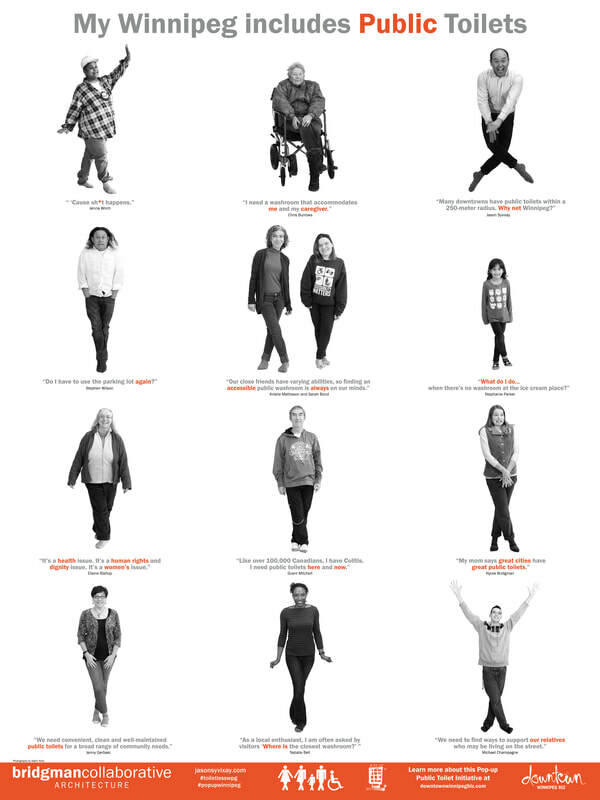 Each person was photographed cross-legged, a position that expresses in a universal language both need and vulnerability. Selected images and direct quotes were mounted on 12 downtown bus-stop shelters for the 2018 summer, with the Downtown Winnipeg BIZ funding printing costs and securing bus shelter placements. The surrounding cityscape magnified the images.